The Energy Information Administration data files includes demand, generation, electric purchases, sales, revenues, source of energy and losses of electric power for the year of 2011. The dataset compiled by National Renewable Energy Laboratory (NREL) using data from ABB group, the Velocity Suite and the U.S. Energy Information Administration dataset 861, provides average residential, commercial and industrial electricity rates by zip code for both investor owned utilities (IOU) and non-investor owned utilities. The Energy Information Administration data files include information such as peak load, generation, electric purchases, sales, revenues, customer counts and demand-side management programs, green pricing and net metering programs, and distributed generation capacity. 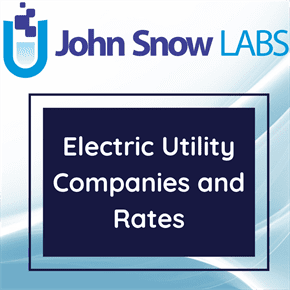 The file includes average rates for each utility, but not the detailed rate structure data found in the Open Energy Information (EI) U.S. Utility Rate Database. A more recent version of this data is also available through the NREL Utility Rate API with more search options. This data was released by NREL/Ventyx in February 2011.